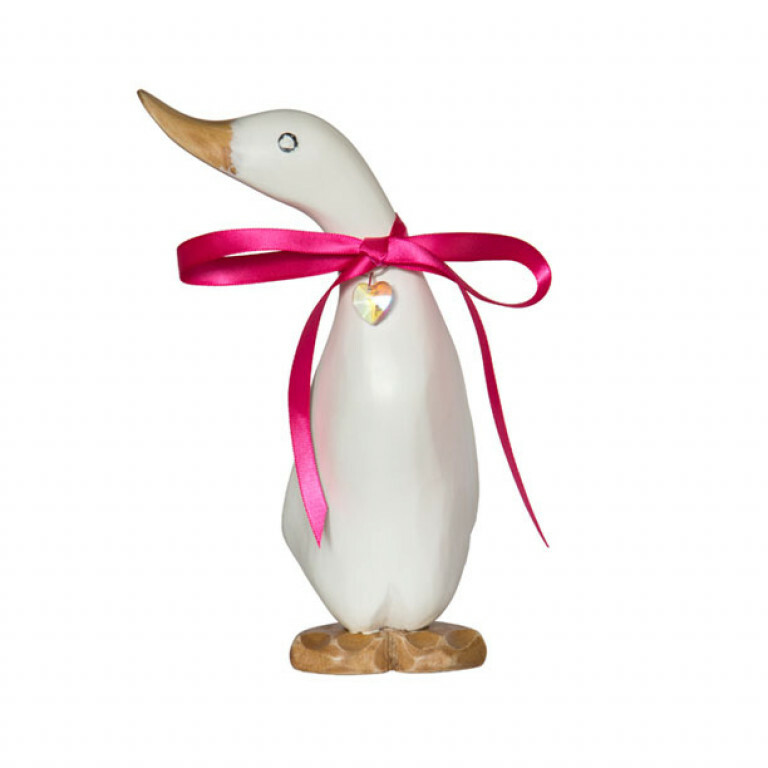 The perfect present. 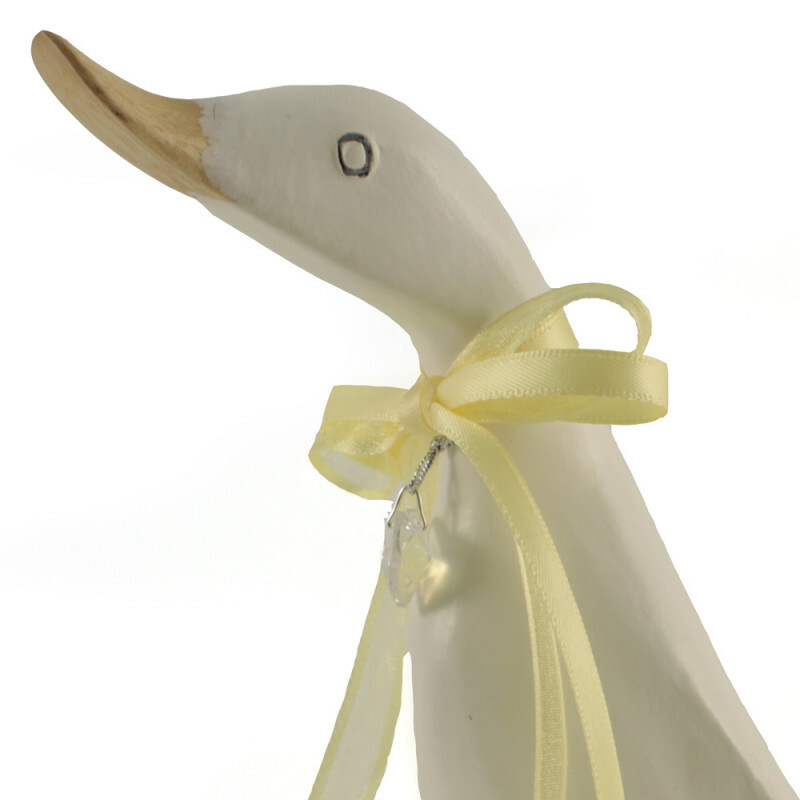 A beautiful hand carved, White Duckling, in Style 6 (looking forward) with Crystal Heart and Ribbon included, standing approx 16cm high. 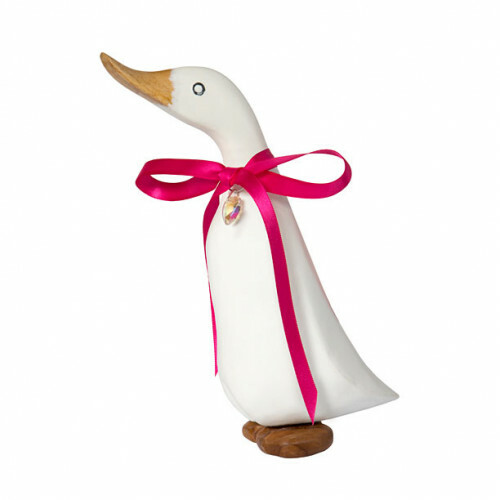 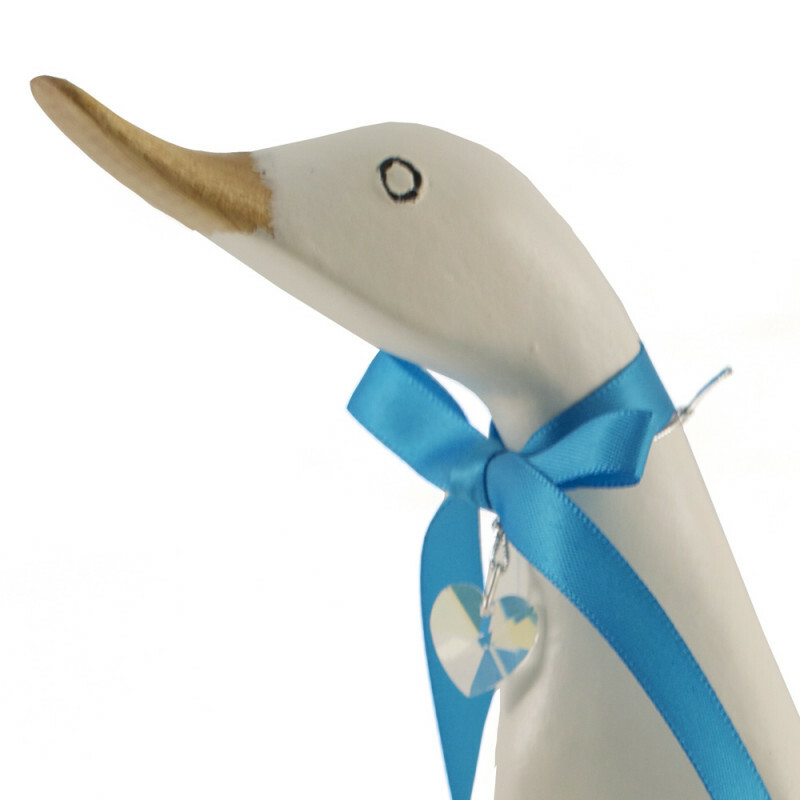 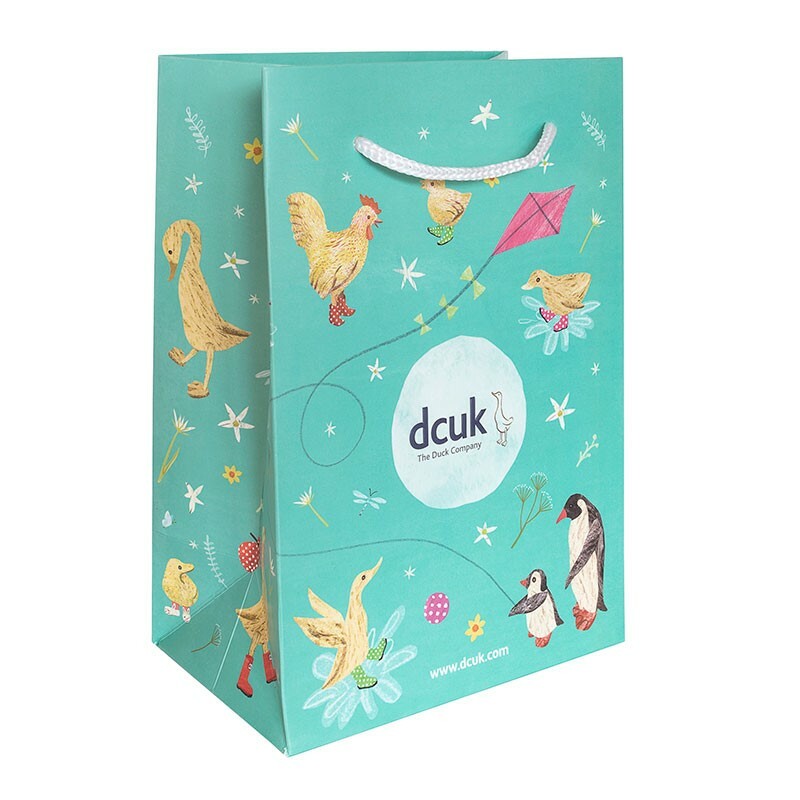 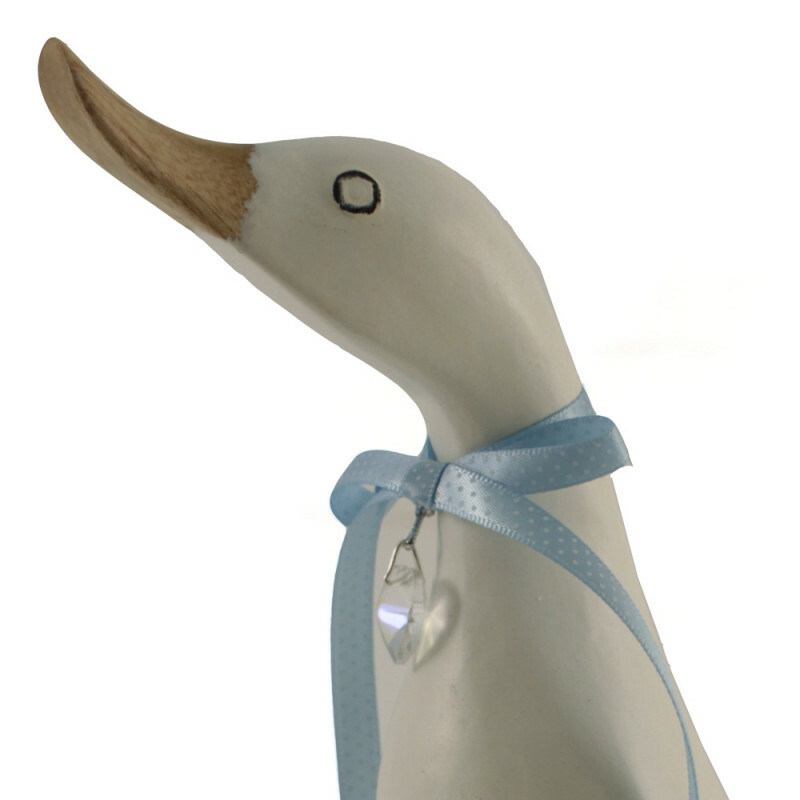 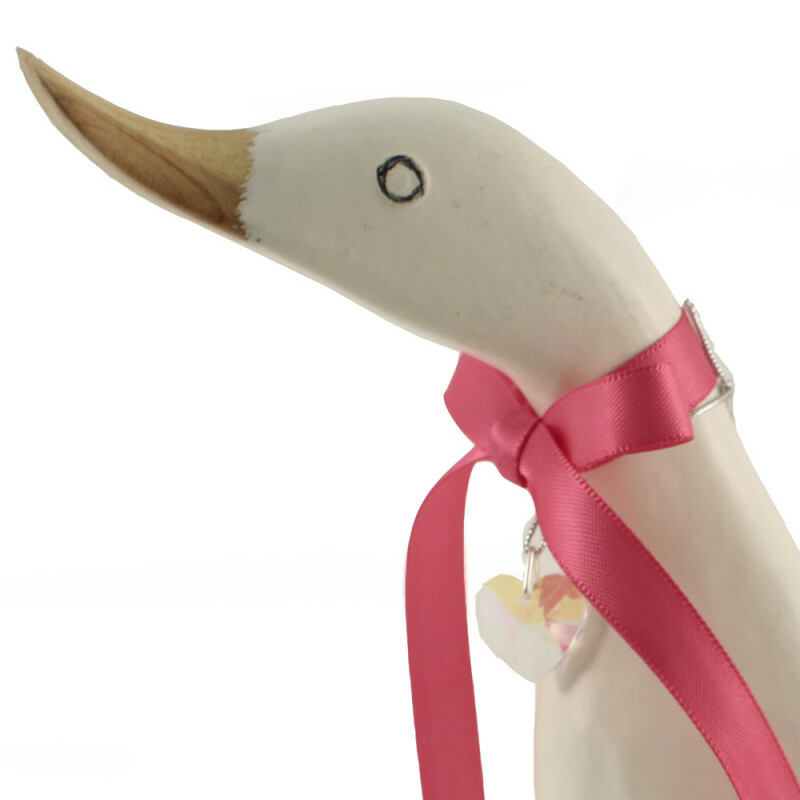 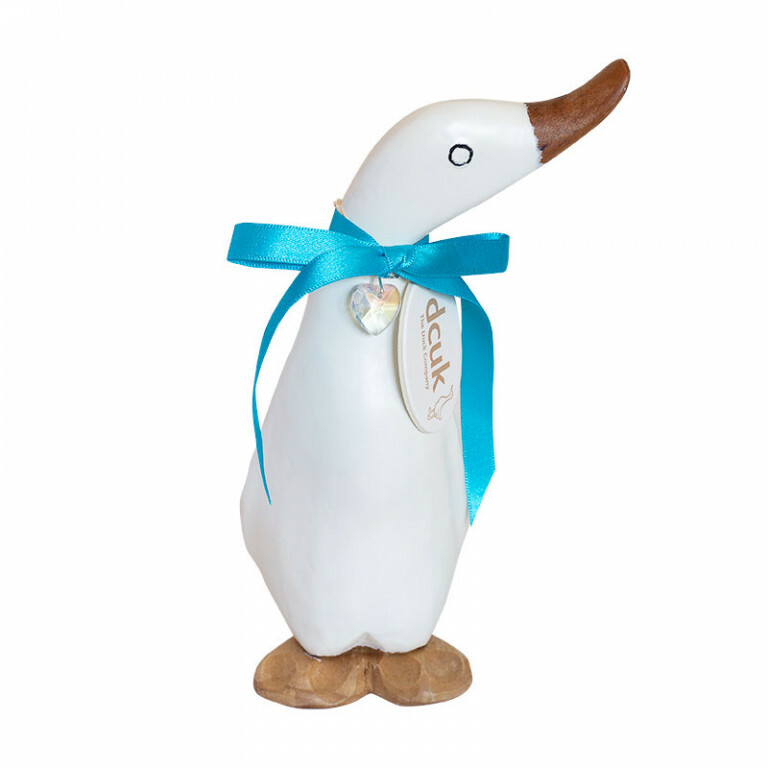 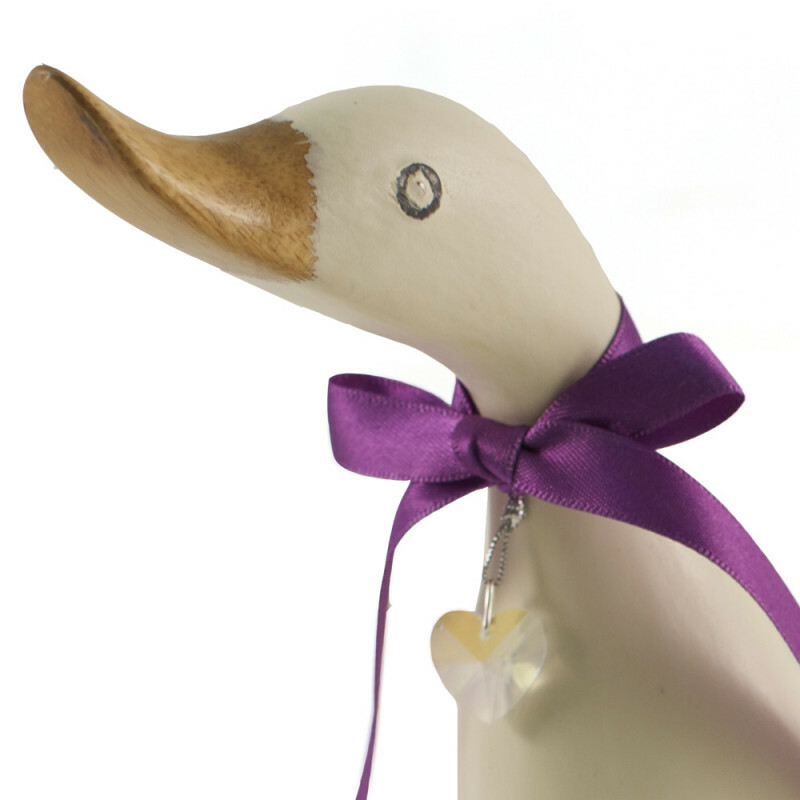 Each duckling comes with a random cotton card name tag, a crystal heart and a ribbon bow in the colour of your choice. 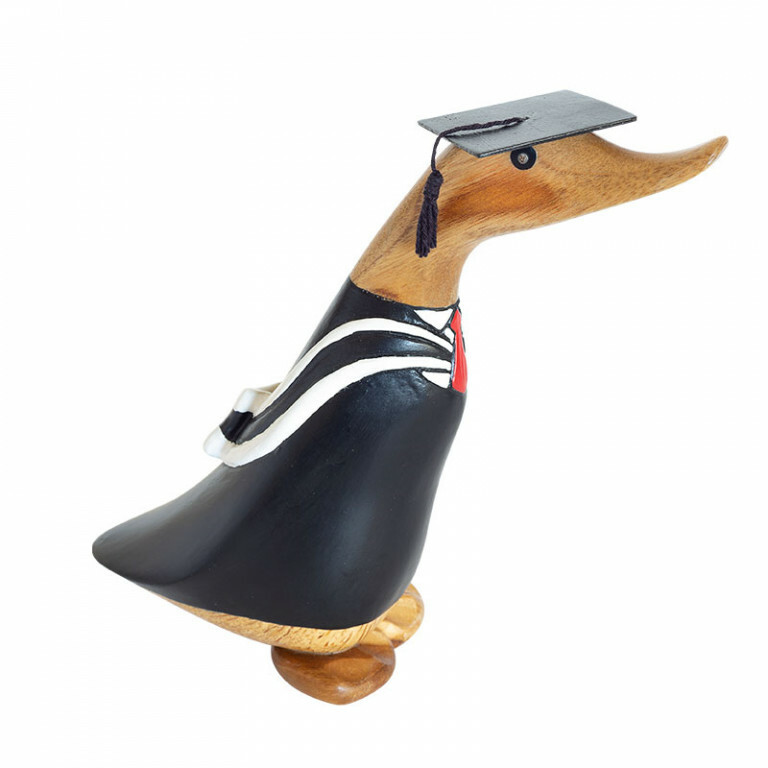 Your duckling can also have a message hand painted on the duck's back. 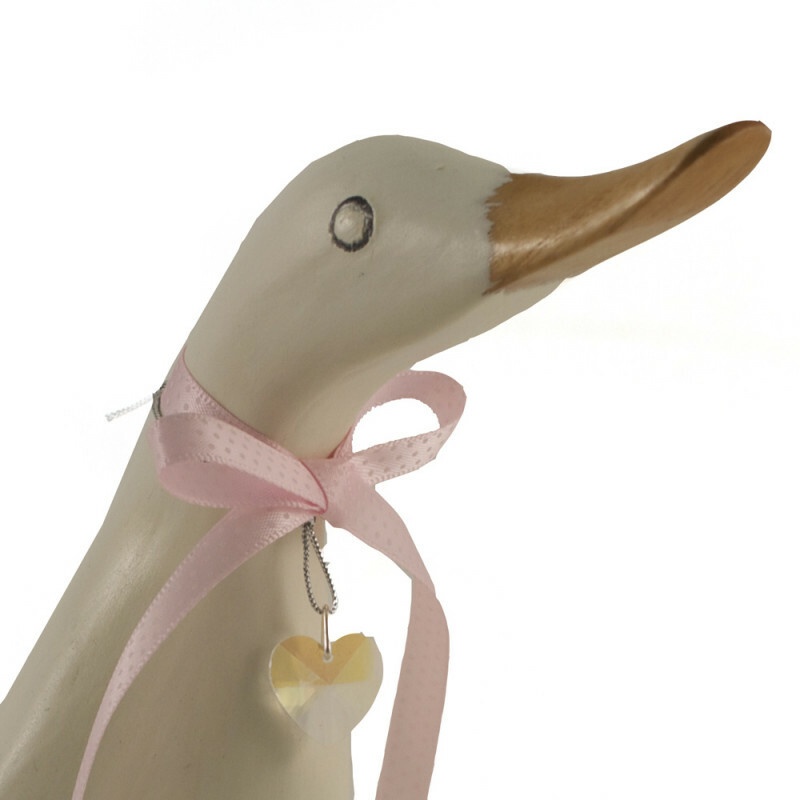 Please note, all text on tags is in lowercase only .The ducklings come with a random name on cotton card tag. 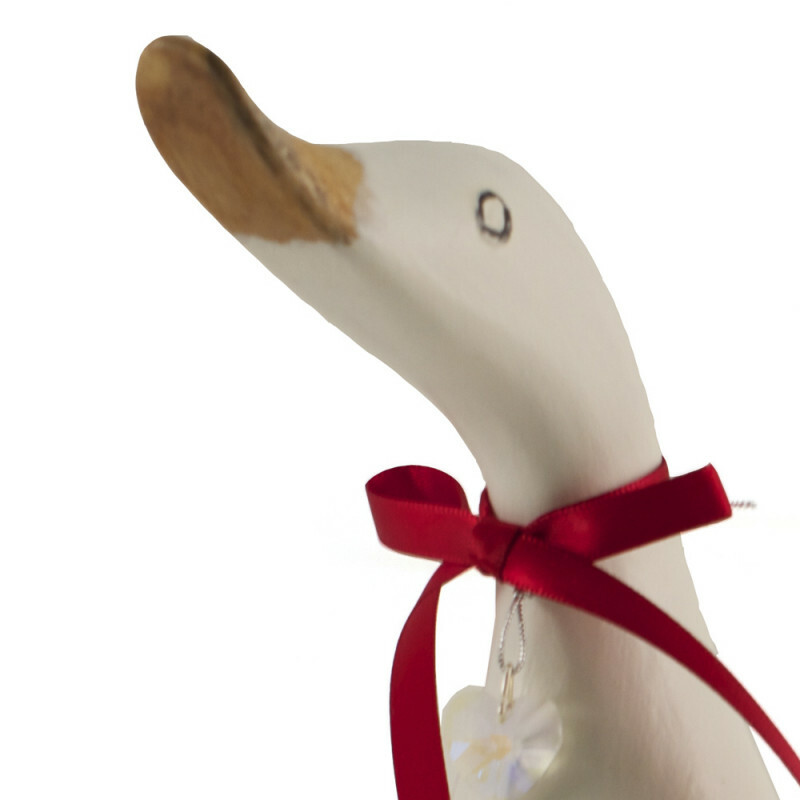 Please only state a name if you have chosen "Choose your own name", and a message if you have chosen "Writing on back of duck".